What is JUVEDERM VOLUMA XC injectable gel? JUVÉDERM VOLUMA ™ XC injectable gel is the first and only filler FDA-approved to instantly add volume to the cheek area. It gives you a subtle lift, helping to restore contour and a more youthful profile, for up to 2 years, in patients over the age of 21. It’s different than Juvederm XC and works on a different area of the face. JUVEDERM ® XC smoothes out moderate to severe wrinkles and folds around the nose and mouth, like parentheses. 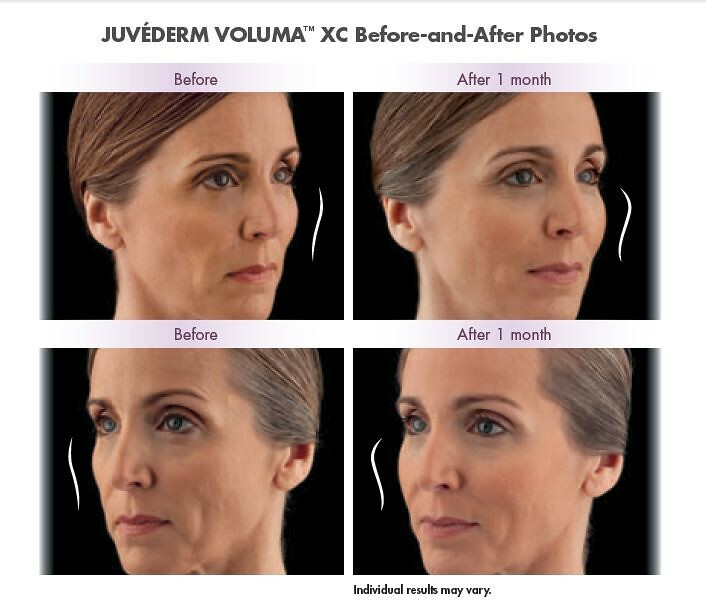 JUVEDERM VOLUMA ™ XC, however, adds volume to the cheek area.